Anyone who played the great tabletop dungeon crawlers of the 1990s probably spent some time imagining their little plastic figures moving around on their own. 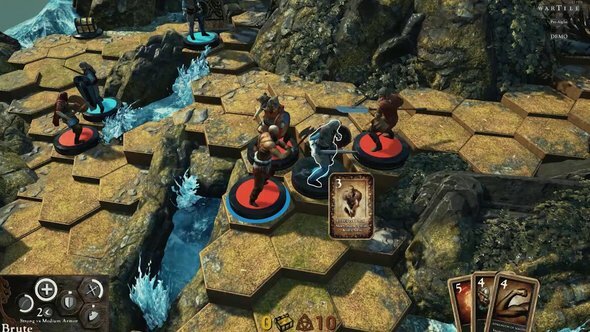 Wartile, a game whose premise is to breathe life into tabletop fantasy miniatures, is now out of Steam’s Early Access. Wartile came out Thursday alongside a new launch trailer that showcases the game’s beautifully-lit hex-based dioramas, as well as units hopping around on their bases, coming to life to attack their enemies. Set in a Viking-flavored land of Norse mythology, Wartile uses cooldowns instead of a turn-based system in its tactical presentation. But the star of the show seems to be the gorgeous boards, which look as though they’ve been crafted by expert hobbyists. Through February 15, you can pick up Wartile at a 25% launch discount on Steam.